As I write this I expect you are all preparing for the Christmas festivities, we are feeling quite smug having completed our grocery shopping last night and thus have a ‘indoor’ day today. Catty has been out briefly but decided that a warmer place could be found indoors, she has since retreated even further inside the bag for a snooze. Christmas presents have been wrapped, cleaning and washing are done, coal stocked up with and we look forward to Carols by Candlelight tomorrow. 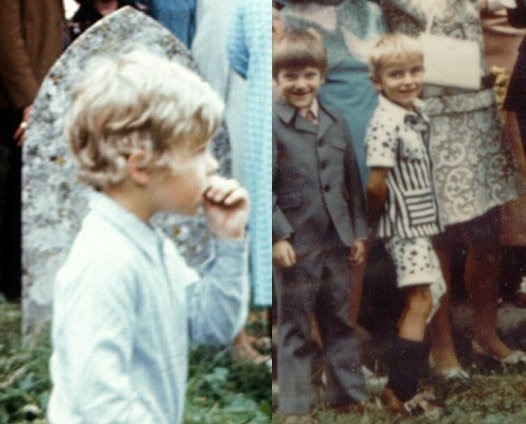 Another friend reminded us of the ‘Plague of Frogs’ in the churchyard on our wedding day (well her son and my nephews were fascinated by at least… um.. one?) A young lady of 24 who we have known since she was knee-high-to-a-grasshopper (actually, she still is) declared she was starting to understand what she had put her mother through as a teenager now her little sister is doing the same stuff. It’s been quite a month for catching up with people, having made several trips back to Gloucestershire for Anniversaries, Significant Birthday Parties and a Baptism all of which resulted in us meeting up with friends we hadn’t seen for ages. Good Times! We are looking forward to our son, Jeremy, Rebecca and Isabelle spending Christmas Day with us and I’ve just been asked to read a ‘Shepherds Tale’ at our Christmas Day service. So we end by wishing you all a Very Happy and Blessed Christmas, a Wonderful New Year and may all your hopes and dreams become reality. Not as bad as it was in February yet. 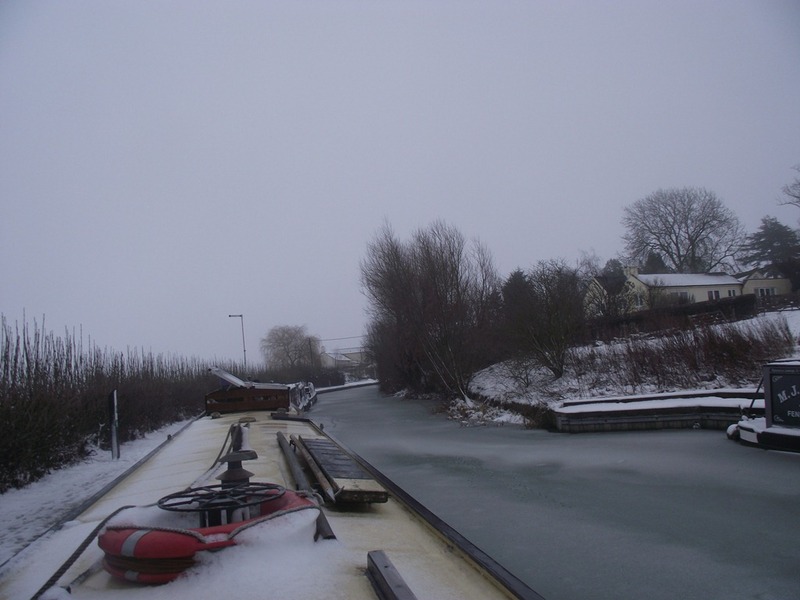 Here at Fenny Compton winter seems to have arrived with a few heavy frosts last week and ice on the canal yesterday morning, brrrr! After the rain last night we have sunshine today, just in time for Joy to go Christmas shopping with her friend Allison leaving me to potter around the boat… Hallelujah! Guess what? We have been thinking of replacing our central heating boiler for a while now, after all, the old Alde Comfort is nearly 15 years old and was very heavy on gas. After considering the options we chose to use Alde again (that’s Alde not Aldi!) but the new Compact range are a completely different shape and has meant using one of the back cabin lockers to house it, but it does mean we have warm coats as the flue passes through our back cabin wardrobe. The system was fitted by Graham Cutmore who has many years experience with the Alde product being an ex Technical Services Manager for the company. I’m still getting to find my way around the digital controller, but we can now wake up to a warm boat, even if the fire has gone out. 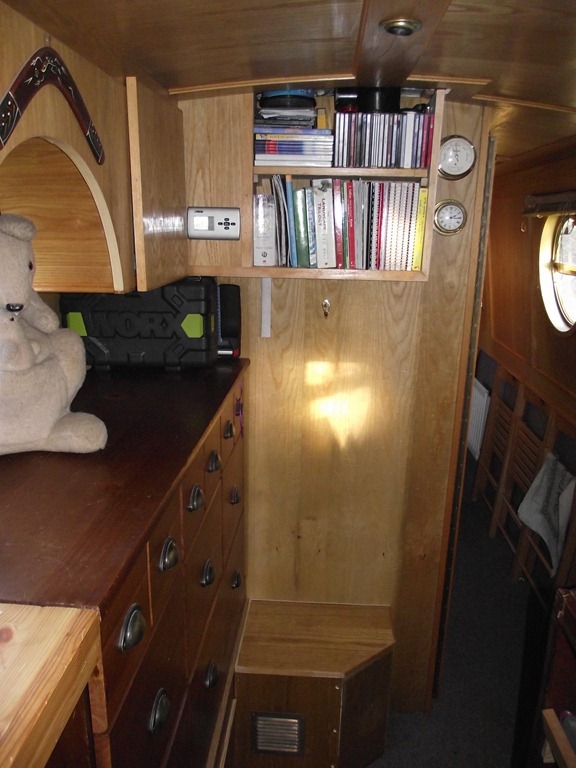 As a result of the changes I have also been able to recycle the removed timber and build in a bookcase in the space vacated by the old boiler (no I don’t mean Joy) and a storage box for the vacuum cleaner; that’s my woodworking skills pushed to their limits!!! Oh yes, a salutary warning to you boaters, check your batteries’ electrolyte level, I thought mine were done for when I found the 3 leisure batteries needed 5 litres of distilled water, I hope I have rescued them in time! My next project is to convert the redundant space which was designed to house a microwave into more kitchen storage… watch this space! 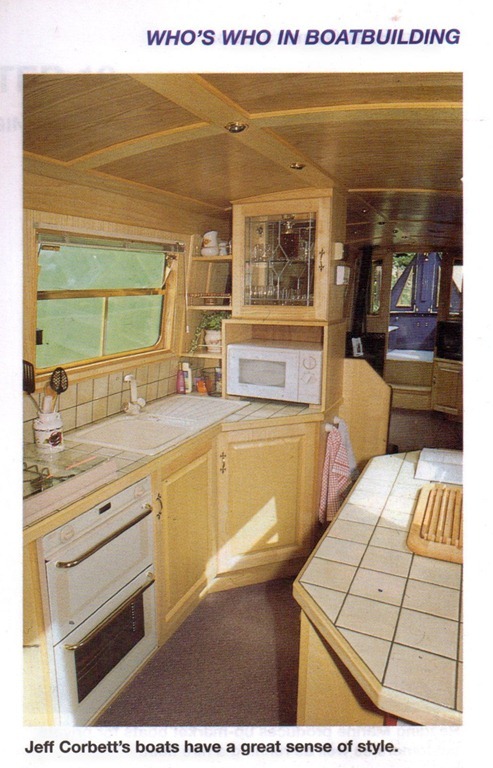 How our kitchen looked when the boat was new! 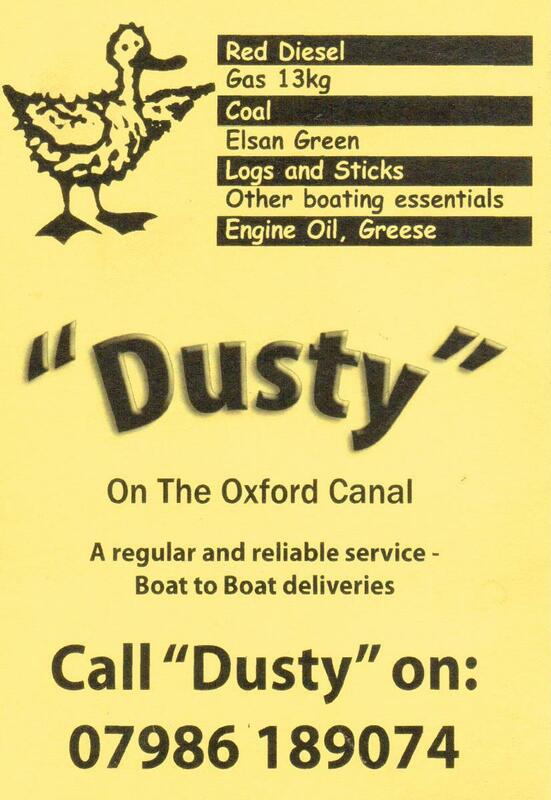 From the Inland Boat Owner’s Book by Graham Booth, apologies for any copyright infringement. P.S. If you were a child in the 50s or 60s take a look at Blossom’s Blog (Darley’s Daily Dawdle) He makes I larf!